Norman abbeys, Châteaux with their glazed rooftops, docile towns, and charming villages make Burgundy a historic region with a glorious heritage. It is a land of rolling hills, waterways and of course, vineyards. With so much to delight visitors, it can be difficult to know where to begin when visiting this historical region, so I have taken the time to list the ‘best bits’ of Burgundy, which are not to be missed! Burgundy is famous for it’s diverse selection of wines found across the Côte de Beaune and Côte de Nuits. 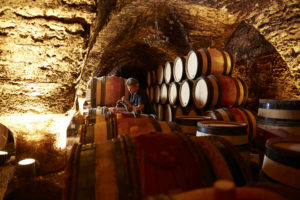 In the quaint village of Aloxe-Corton (the only village in Burgundy to boast both red and white Grand Cru wines), you’ll find a premium domaine – Comte Senard – which offers excellent tour of their vineyards and cellars. But the crowning glory here is their delicious traditional lunch, which is accompanied by no less than six of the estate’s Grand Cru wines! It’s worth remembering that they’re closed on Sundays and Mondays, so make sure to pre-book your visit to ensure you receive a fabulous welcome. The Hospices de Beaune is one of France’s most prestigious historic monuments. Its Gothic architecture, unusual multi-coloured roofs and a renowned vineyard make this museum one of Burgundy’s most popular attractions. The produce from the 60 hectares of vines is sold annually in a charitable wine auction on the 3rd Sunday of November; which is a public event to taste and discover more about Burgundy’s wines. Be careful of travelling across this weekend though, as hotel prices will rocket! 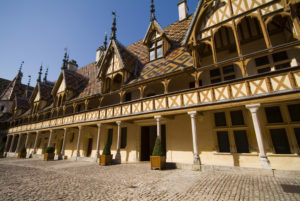 You can still visit the Hospices de Beaune throughout the year, and entry is around €7.50 per person. The renowned ‘Route des Grand Crus’ is a 60km stretch of winding roads that takes you through the well-known Burgundy wine appellations of the Côte de Beaune and the Côte de Nuits. You’ll travel through some picturesque villages, and revered wine making areas including Gevrey-Chambertain, Vougeot, Vosne-Romanée and Puligny-Montrachet. 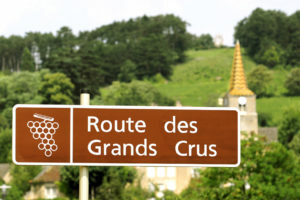 There are several ways of travelling along the route, either on foot (a 21km hike along the Grand Crus long distance footpath which starts in Dijon and ends at Pernand-Vergelesses), by bike (the 22km route consists of well-marked bike trails through vineyards and quaint villages), or by car between Dijon and Beaune. 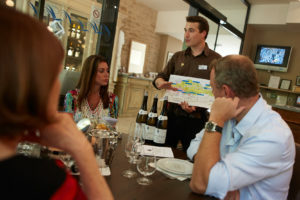 The wine museum is dedicated to the history of wine and the art of wine-making; it’s a must visit for those interested in the production of wine and wanting to learn a little more. Exhibits include maps of prominent wine regions, detailed information on terroir and soils that help vines to grow, and examples of the equipment used by wine-makers.